Contest: Super Charge your mobile right next to your mouse with this elegant mousepad. Super Charge your mobile right next to your mouse with this elegant mousepad. 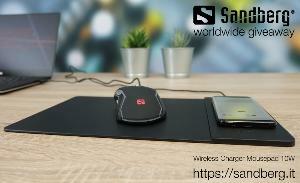 Prize: Super Charge your mobile right next to your mouse with this elegant mousepad. Statistics: This contest was opened by 96 and entered by 7 ContestChest.com members. 7% of those who opened the contest, entered it.